Have HR Advice on speed-dial. Our monthly service subscriptions have been designed by our clients who needed immediate support for common human resources issues, a way to save business owner time, and to easily budget for HR expertise. Our Ethos On Demand Plans are that and more. 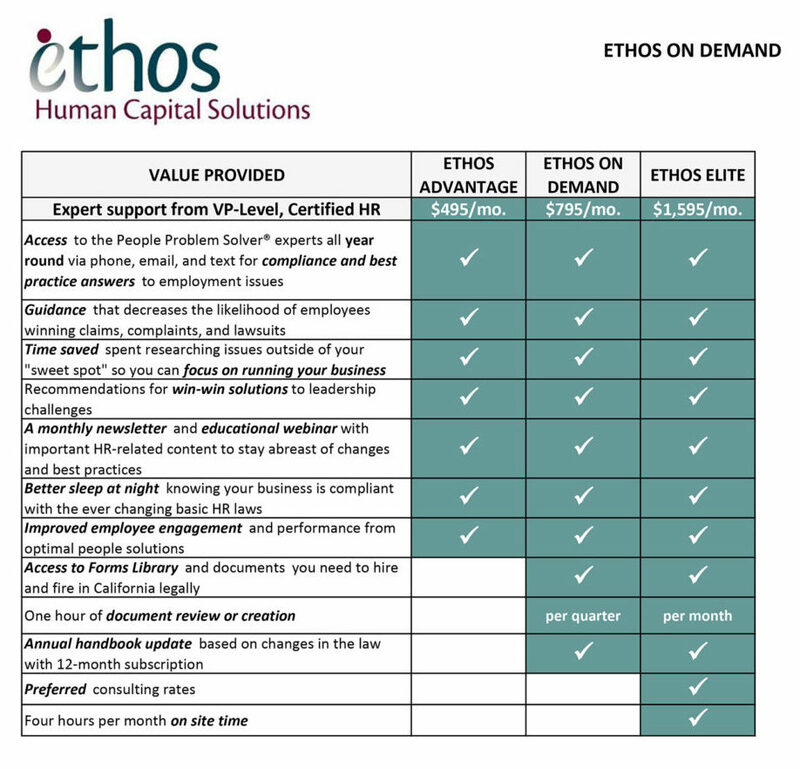 We provide you VP-level HR expertise for a flat monthly fee. You choose the right level of service for your business and we’re right there to give you advice, guidance, education, and tools.